The historic and iconic building at Second and Court streets. 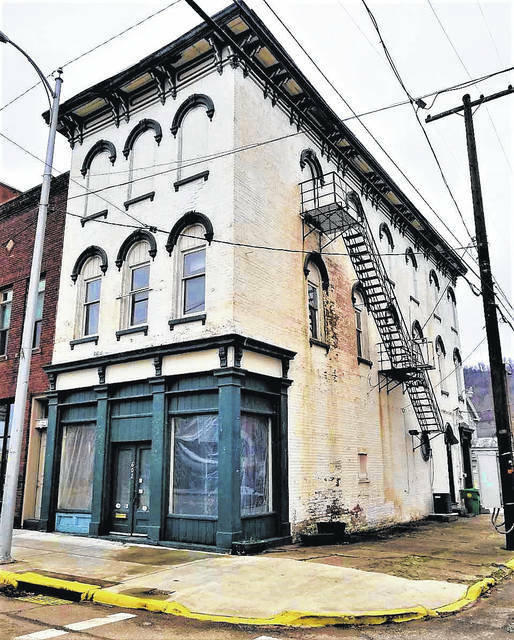 The building at 602 Second Street in the heart of the Boneyfiddle historic district is planned as a new restaurant. 83 Sweets, the local bakery and catering company which famously won the Food Network’s Cupcake Wars, is bringing its sweet treats to Portsmouth. The confections will be available inside Sweet Addie Grace’s, a new candy store in the works on Second Street. There is quite possibly — maybe even probably — a renaissance of sorts headed to Second Street in Portsmouth. If the hopes and plans of developer Tim Wolfe come true, it will be a renaissance of shops, apartments and, perhaps most hopefully, visitors. Wolfe, owner of Patties and Pints on Second Street, is also behind Eflow Development Group, whose somewhat odd name you might notice is “Wolfe” spelled backwards. With help from daughter Addie Grace, Wolfe has three or four development projects in the works in different spots on Second Street. Set to open this summer at 515 Second Street, according to Wolfe, his plans for a candy store might be the furthest along. Eflow operations manager Andrew McManus says the hope is to have what’s been dubbed the Sweet Addie Grace Candy Company open sometime this summer. Wolfe says the idea for the candy store came directly from his 7-year-old daughter, Addie Grace. According to her father, Addie even developed a business plan on her own. Wolfe says on a piece of notebook paper, Addie worked out what type of candy to sell, how much space she would need and so on. “It was just very cool,” Wolfe says. He’d earlier noted when he saw how much work his daughter had put into the project, he decided he just had to make the candy store a reality. Wolfe talks about the store featuring, obviously, candy of all types, including novelty candy and also homemade ice cream. Notably, Wolfe says cupcake makers 83 Sweets, winners of Food Network’s Cupcake Wars, will have space in Sweet Addie Grace’s. Although they reportedly do a lot of catering work, 83 Sweets’ retail operation is currently confined to a spot in Lucasville. “They’re absolutely killing it in Lucasville,” Wolfe points out. Another major development, which is already getting attention via Facebook, is a “healthy restaurant” planned by local up-and-coming entrepreneur Hailee Barbarits. According to Wolfe, Barbarits purchased the existing building at 602 Second Street. Both Wolfe and McManus say Barbarits hopes to be open in summer 2019. Barbarits did not return a phone call requesting comment. Although an apparently potential name is circulating around town, through Wolfe, Barbarits asked that the potential name not be announced. The restaurant’s menu presumably has not yet been determined, but Facebook lists lots of suggestions from protein pizza, to wedge salads and smoothies. In a Facebook comment about the restaurant, Barbarits says she would love to work with local farmers. Touching on another project of Eflow Development, Wolfe talks about preparations for what’s being called the Glockner Museum, to be owned and operated by the Glockner family. Wolfe says the family owned the targeted space on Market Street (near the Market Street Cafe) 170 years ago, operating a hardware store. Wolfe says plans are to fill the space with heirlooms and such, opening it to visitors on an invitation-only basis. Primarily, the family plans a meeting and presentation space. Returning to Second Street, Wolfe talks about adding some apartments above the retail space on the roadway. He further plans to renovate space next to Patties and Pints, using the front for as yet undetermined retail and the rear for overflow space for his bar and restaurant. “Our vision is to have as many people living on and visiting Second Street as possible,” Wolfe continues. Finally, Wolfe talks about a project being undertaken by the Friends of Portsmouth. Working with Eflow, the community group hopes to build arches across Second Street similar to those found in the Short North neighborhood in Columbus. The arches would feature “Boneyfiddle,” the historic name of the neighborhood. A member of the Friends of Portsmouth did not return a phone call requesting comment. Wolfe says the Friends are planning fundraisers to bring in the money needed for the four planned arches, which could run as much as $400,000. https://www.portsmouth-dailytimes.com/wp-content/uploads/sites/28/2018/04/web1_Second-Street-1-1.jpgThe historic and iconic building at Second and Court streets. 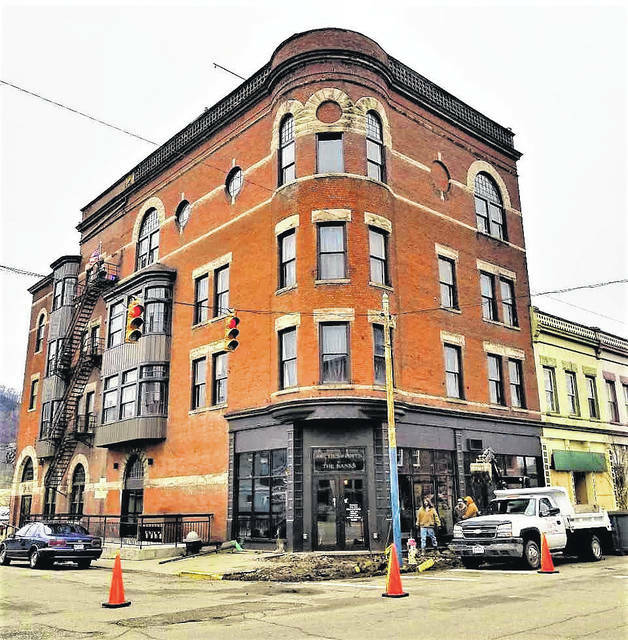 https://www.portsmouth-dailytimes.com/wp-content/uploads/sites/28/2018/04/web1_Second-Street-2-1.jpgThe building at 602 Second Street in the heart of the Boneyfiddle historic district is planned as a new restaurant. 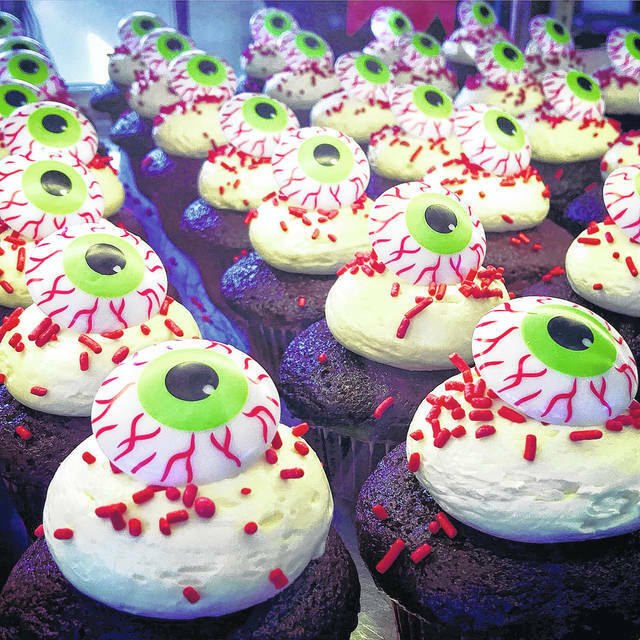 https://www.portsmouth-dailytimes.com/wp-content/uploads/sites/28/2018/04/web1_cupcake-1.jpg83 Sweets, the local bakery and catering company which famously won the Food Network’s Cupcake Wars, is bringing its sweet treats to Portsmouth. The confections will be available inside Sweet Addie Grace’s, a new candy store in the works on Second Street.